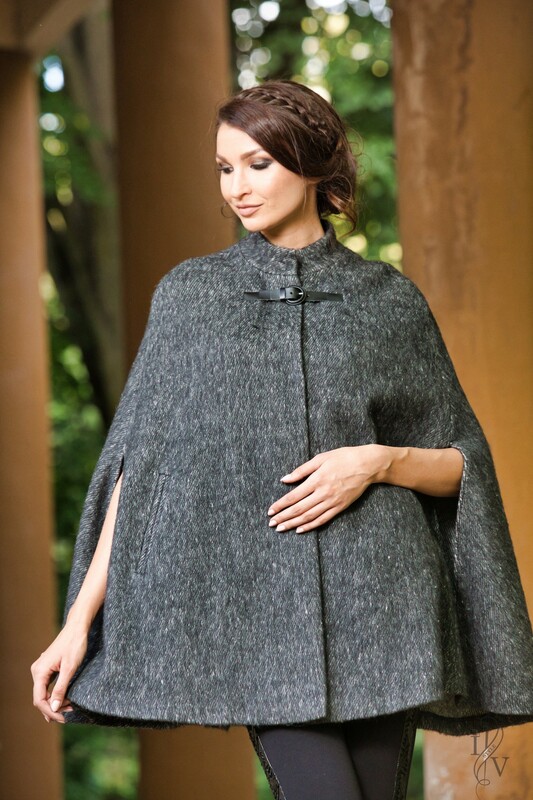 A boutique wool poncho in a limited edition, made of high-quality French woolen fabric of the Mohair type in melange. Shiny charmy cut that will make you feel comfortable and comfortable in the cold days.Elegant hand holes and two jowls with two filaments made on the front. a stylish stool with a matching black fabric on its side for comfort. 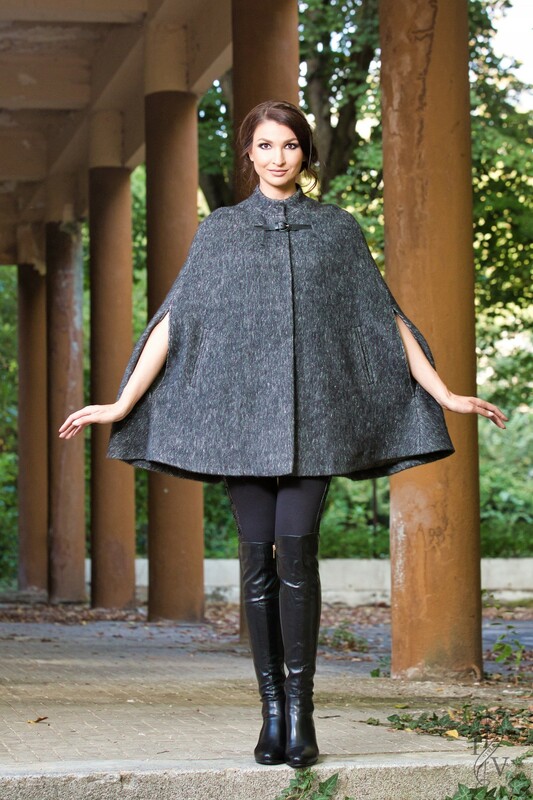 Closure in the middle of the front with two hidden large secret buttons and a beautiful black leather clasp that completes the elegant look of the so-called "CAPE" The trend is for the season. The length is 83 cm for the S / M and 85 cm for the L / XL. The car is without a lining. 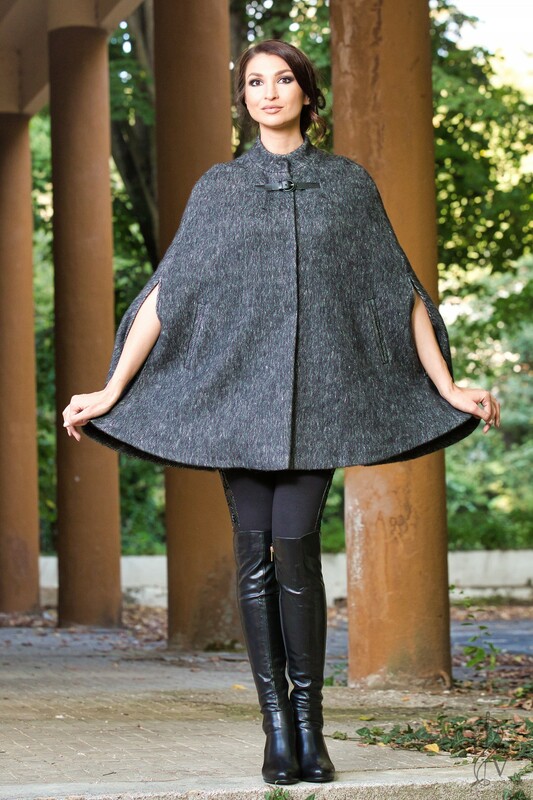 Tags: poncho, cape, woolen, melange, mohair.